Opioid addiction continues to plague millions of Americans. Every day, nearly one hundred people lose their life in the United States to an opioid overdose. Families are losing loved ones, parents having to bury their children and children having to bury their parents. Sadly, love for one’s own family is often not enough to push an addict into addiction treatment. Even when people would like to seek help, it can be difficult to find it in rural America, such as West Virginia—a state hit particularly hard by the prescription opioid and heroin epidemic. West Virginia is not alone, the entire Appalachian region and much of the Northeast has been devastated by elevated overdose death rates in the wake of heightened opioid use and abuse. A number of states have struggled to provide adequate addiction treatment services, but even when they are available many opioid addicts lose their life before they have a chance at recovery. Unfortunately, making the decision to seek help is personal. Efforts to guilt and shame people into treatment usually end in failure. Such pressures typically come from close friends and adult family members privy to the situation. Addiction is a complex disease that will fight tooth and nail to counter any thoughts of accepting help. The disease may lack a conscious, but it will play tricks inside the minds of addicts, in order to keep its flames fanned. However, there have been times when addicts and alcoholics have made the choice to seek help and have managed to maintain a program of recovery. But, not for the sake of themselves, rather for the sake of their children. In an attempt to piggyback of such instances, the Attorney General of West Virginia launched a contest called “Kids Kick Opioids,” Your 4 State reports. Children who have been affected by their parent's opioid addiction and overdose death were asked to share their story, with the hope that it would convince other parents battling addiction to seek treatment. 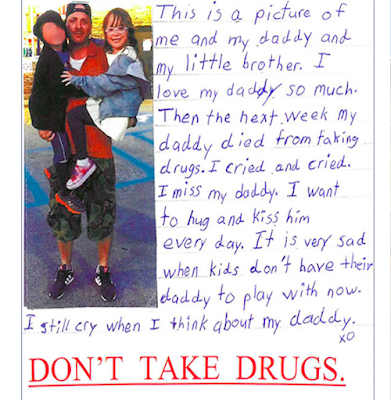 The winner of the contest was third-grader Jacey Chalmers whose father died from a heroin overdose when Jacey was just six years old, according to the article. Chalmers’ story was selected out more than 2,000 entries that were submitted by students in West Virginia. "The reason why we did it, and it was so important [is] because we want to save more than one life,” said Jacey. 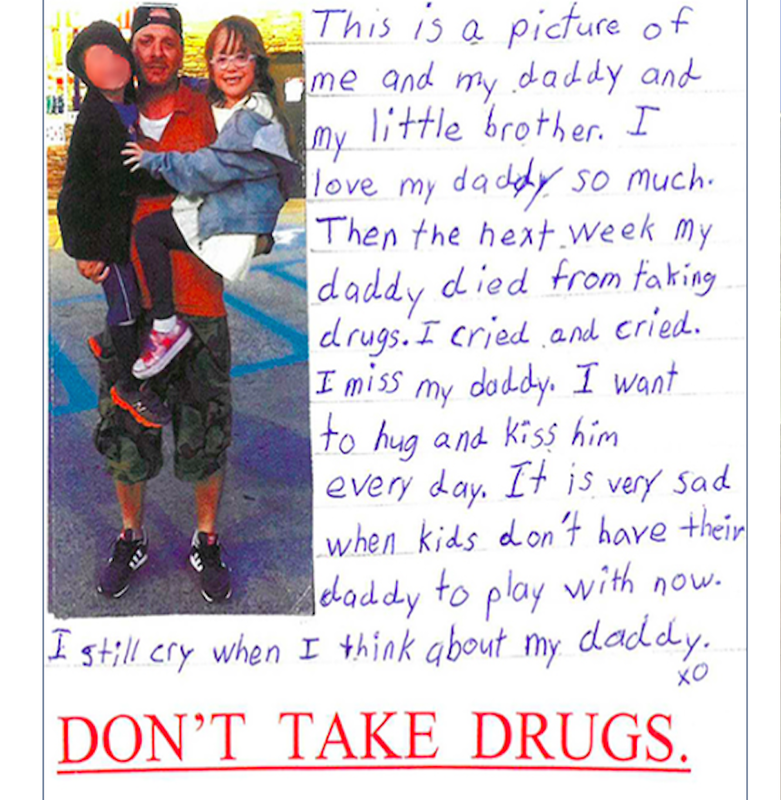 “We want to have my daddy help somebody not take one drug or do anything like that." Jacey’s story will appear throughout the state in newspapers as a public service announcement.